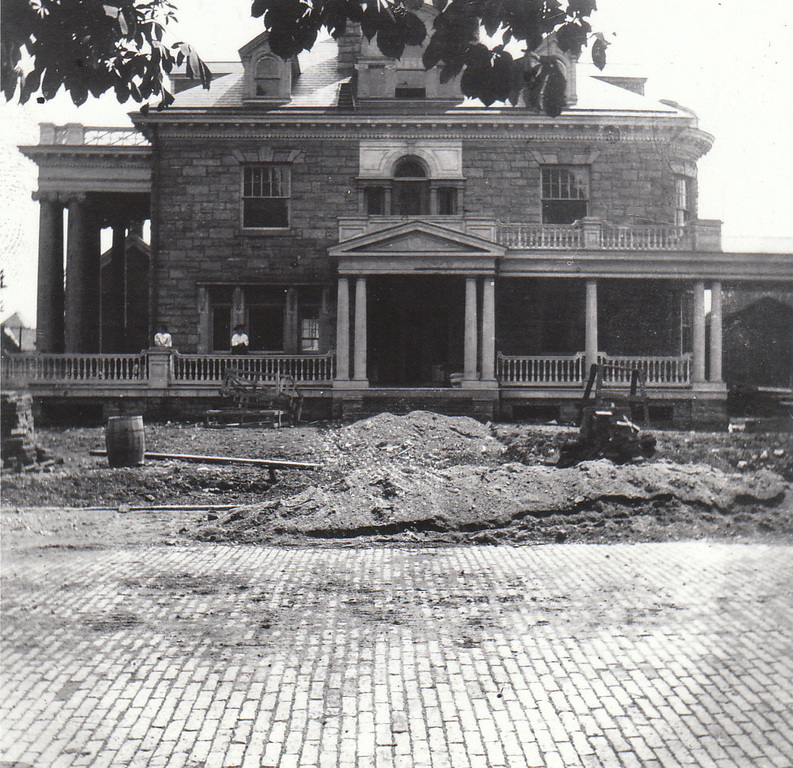 E. H. Reid built Greystone Manor on the corner of North Chestnut and Mulberry Street. On that corner was the First Presbyterian Church. A new larger church was built across the street and the former Church was razed to build a new home for Reid and his family. The first image shows the business man inspecting building materials for his Federal Rival home. 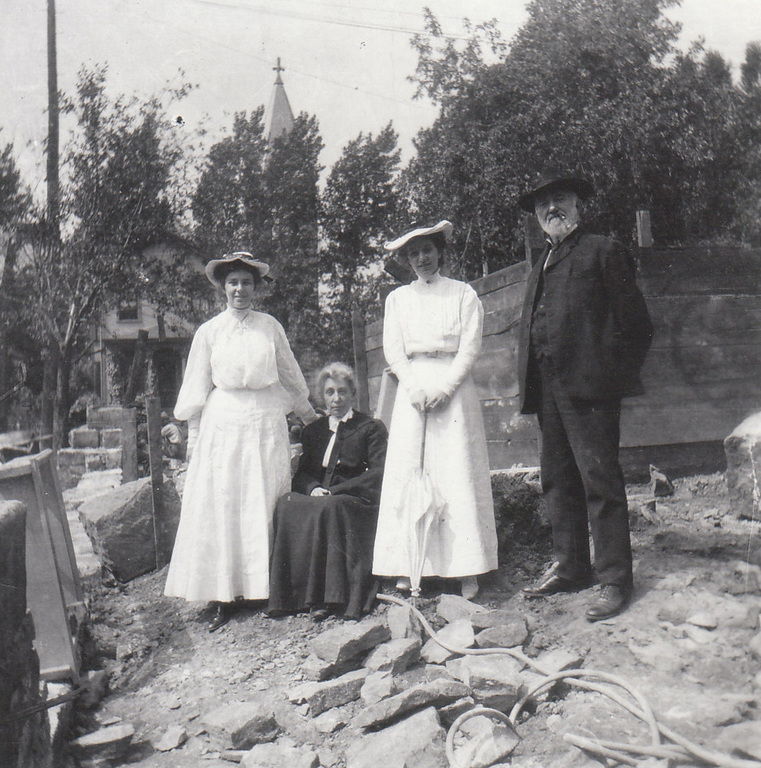 The next image shows Reid and his family on the vacant sight, many of the stones are from the First church’s foundation, they were repurposed to build the foundation walls for Greystone circa 1905. 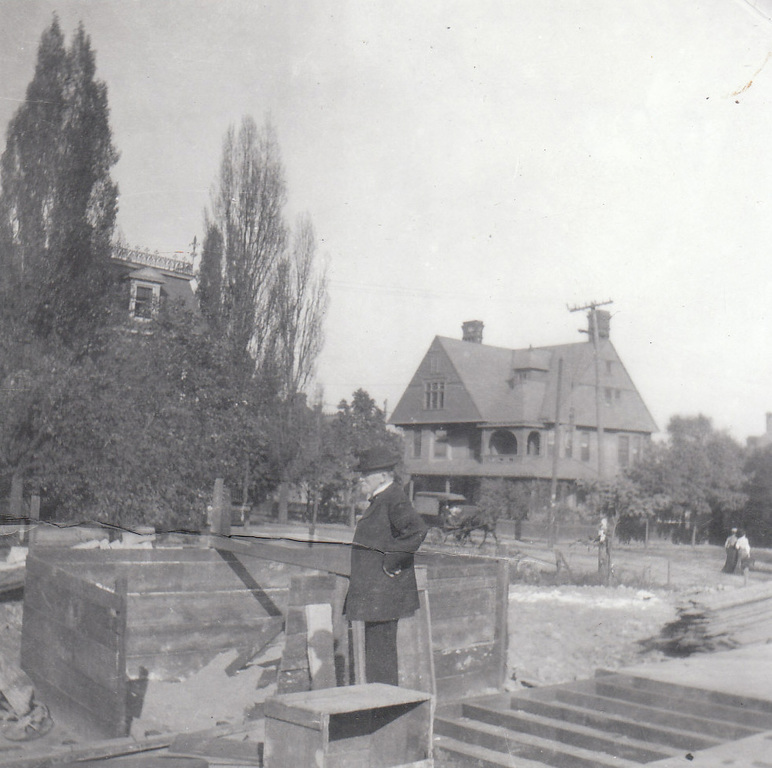 The circa 1907 image shows the construction phase near completion looking at the property from the Mulberry street side. Greystone remained in the Reid family until the mid 1960’s when it was purchased by Richard Campbell. Richard worked to restore the property and ran a successful decorating business from that home. Mr. Campell’s dream was to have the home restored once again, and become a museum. To make that dream become a reality, the Scottdale Historical Society transferred their Life Estate status of Greystone Manor to the Campbell Coal & Coke Foundation on November 16, 2011. The Campbell Coal & Coke Foundation is the current owner of Greystone Manor. Any and all concerns regarding Greystone Manor should be addressed to the Campbell Coal & Coke Foundation. The Scottdale Historical Society Inc., a 501c3 non-profit organization, is the owner and operator of the historic Loucks Homestead, located at 527 North Chestnut Street in Scottdale, PA, since 1987 and was reorganized in 2005. Our mission is to collect, preserve and archive the Scottdale area's rich cultural, industrial and architectural history for the enjoyment and education of present and future generations. The Scottdale Historical Society does not take any political stance and remains an impartial community organization.